Pieter van der Merwe brought a portrait of Thomas Bell of York in the York Merchant Adventurers’ Hall to attention on Art Detective. At the time attributed to the Newcastle marine painter John Scott (1802–1885), there were, in fact, a number artists of that name in the UK public collection, some more likely to be the artist than a maritime artist. Was the painting attributed to the correct John Scott? Pieter van der Merwe felt that the original attribution was incorrect, and comparison was made between the distinctive signature on the painting and signatures on work by other artists named John Scott. It was concluded that the painter was not John Scott of Newcastle, but was likely to be John Scott (1850–1919) of Carlisle. That John Scott was brought up in Carlisle and attended the School of Art from 1871–1872. He exhibited in London, was a member of the Royal Institute of Oil Painters, and may have exhibited at the Royal Society of Portrait Painters. The sitter, Thomas Bell, was born in York, c.1818, baptised at St Sampson in the same year, and died at the end of 1882. 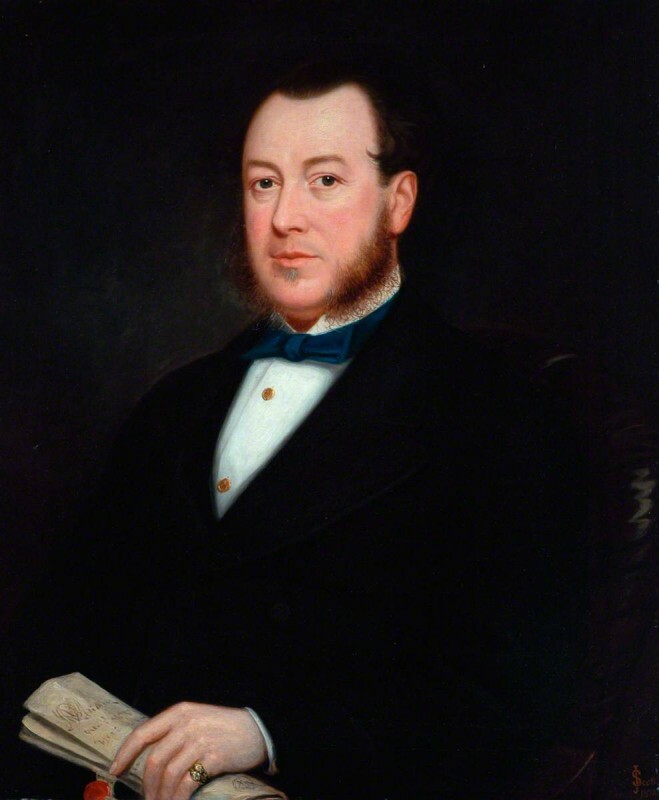 He took over his father’s druggist business in St Sampson’s Square in around 1860 and was admitted to the Merchant Adventurers Company, 28th March 1842, where he served as Warden between 1844, 1846, and 1848–1850; Deputy Governor in 1853, and Governor from 1854–1856. The signature written on the portrait’s reverse says ‘Thomas Bell, 1849’. Thomas’s sister, Jane (1825–1903), lived with him and bequeathed the portrait in her will to the Merchant Adventurers Company in 1904. It was recommended that the portrait should be attributed to John Scott (1850–1919) and titled Thomas Bell, Governor of York Merchant Adventurers (1854–1856). Which 'Scott' painted this portrait of Thomas Bell?